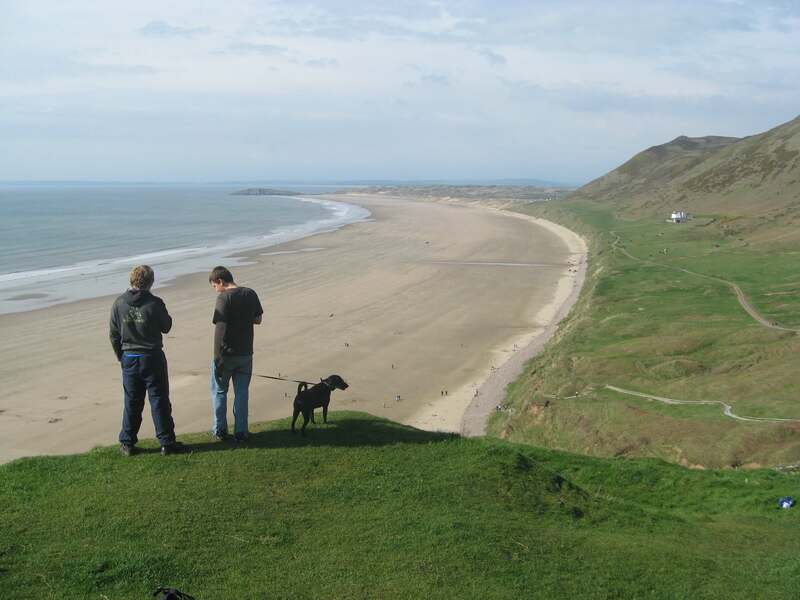 The Gower Peninsula was the UK’s first area of outstanding natural beauty (AONB) and it is becoming increasingly well known for its beautiful coastline and tranquil interior. 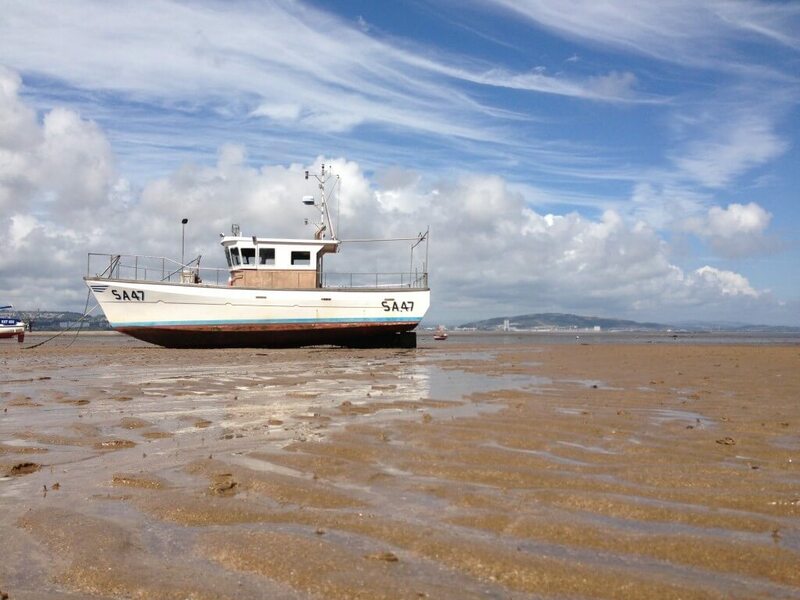 At just sixteen miles long by seven miles wide, it juts out into the Bristol Channel and creates its own little micro climate with magnificent sweeps of sandy beaches to the South and acres of marshland rich in flora and fauna to the North. As interest in the area increases there are more opportunities to try out activities within the landscape, whilst the position of our self catering property means that you will be well placed to access the Brecon Beacons and even Pembrokeshire as an easy day trip. The festival city of Swansea lives up to its name. 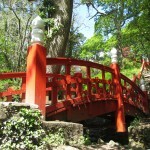 With its own great beach, the marina and beautiful parklands such as Clyne Gardens and Singleton Park, Swansea deserves some exploration in its own right. Below is just a flavour of what is available in the area. Follow us on Twitter and Facebook to find out more. There are seven golf courses within ten miles of Gower Edge. 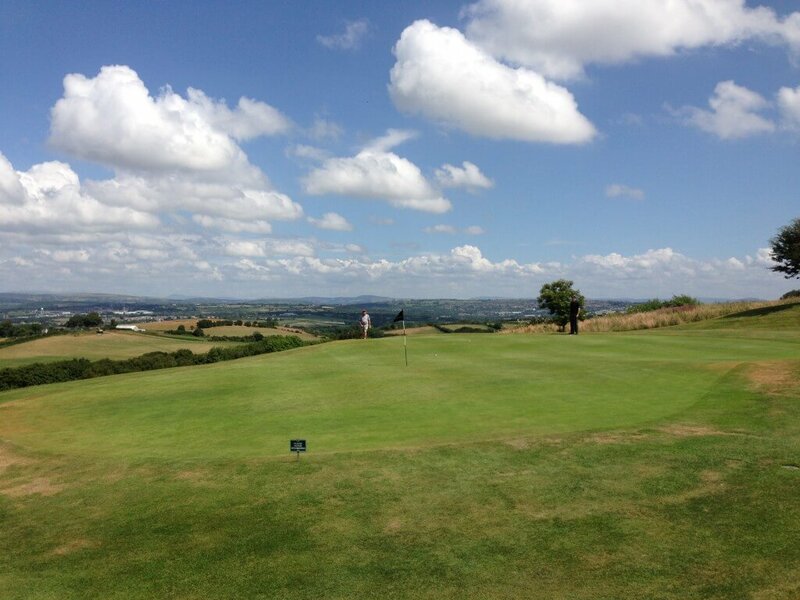 The closest is Gower Golf Course just up the road with it’s beautiful views over the Loughor Estuary. This is a parkland course with a variety of woodland and open aspects. Pennard is a lovely links course with views over the famed Three Cliffs Bay and beyond. … and truly for everyone, how about crazy golf at Singleton Park or the putting green at Mumbles? Visitors welcome at Gower Golf Club – our local course! 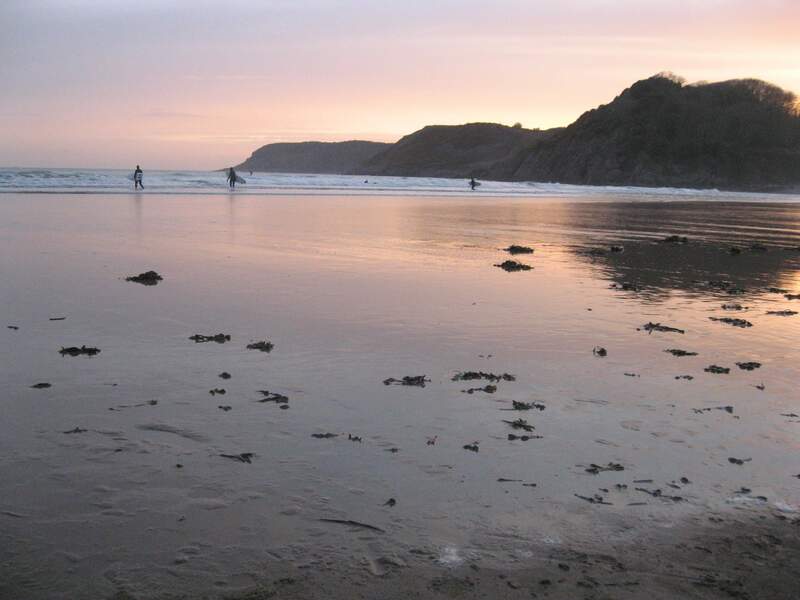 Gower has a deserved reputation as a surfing destination in Wales, there are beaches to suit all capabilities, from the best known at Llangennith on the tip of the Gower to Caswell where the waves remain small enough for beginners to enjoy. There are a number of opportunities to practice and improve your surfing with tuition and you can even have a go indoors at the LC2 Leisure Centre Boardrider facility. The Gower Coast Path has now been subsumed into the Wales Coast Path so how big do you want to go? As well as the coastline there are numerous walks across moorland and woodland in the interior and there are a number of books at the property to support your planning. If you do your walking with tarmac underfoot you can enjoy the sweep of the promenade from Mumbles to the marina and then take the land train back again in the Summer. A quiet moment at the top of the Gower. 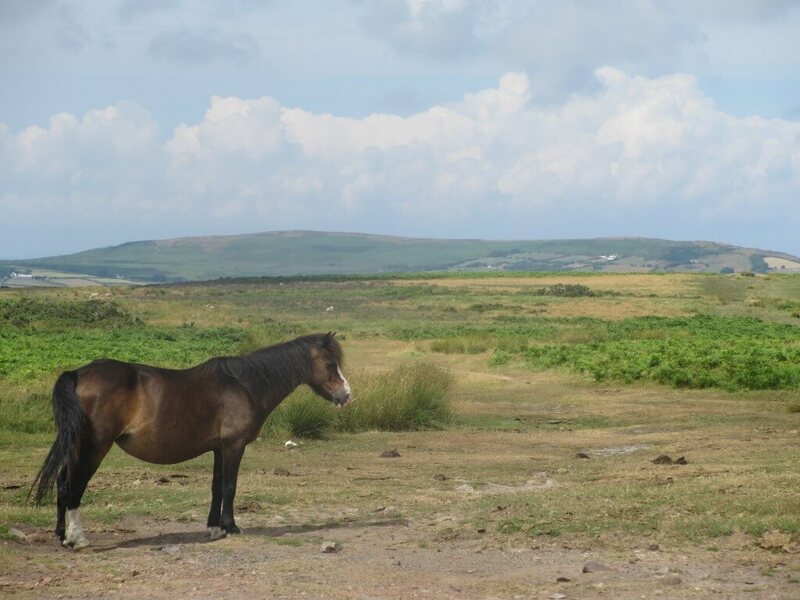 If we have whetted your appetite for a Gower visit and you wish to explore further there are a number of useful websites which give you an idea of what is on offer. Remember to bookmark our site so you can return and book your accommodation. Happy planning! Visit Swansea Bay: Provide a wealth of information about the local area with some lovely video clips and an effective search mechanism. Remember to check them out on Facebook and Twitter too. Enjoy Gower: Again an excellent site for getting a feel of the area. I have selected a landing page which gives a detailed overview of beach facilities, but you can move on to other areas of interest as required. 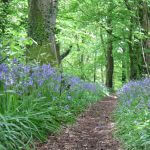 Explore Gower: Provides interesting information about local activities and events as well as information about the Gower landscape. We are also active on twitter. Find tweets from some of the attractions we follow below. Food for thought!